I will be giving a talk in Dublin on Thursday 27th October. 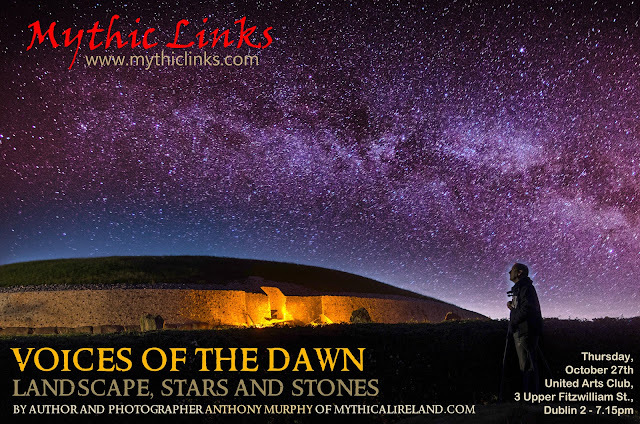 I will be a guest of the Mythic Links group and will be showing lots of photographs (some of them not seen here on the blog) and indeed talking about the myths, monuments and astronomy. The talk will feature photographs of the megalithic and sacred sites of the Boyne Region (and a couple of others) and the talk will focus on various aspects of the sites, including the mythology, symbolism, alignments, astronomy and archaeology of each. I will be showing pictures not yet seen on the blog or any of my social media sites. There will be lots of photos in particular from Newgrange, Knowth, Dowth, Fourknocks, Hill of Tara and Loughcrew. 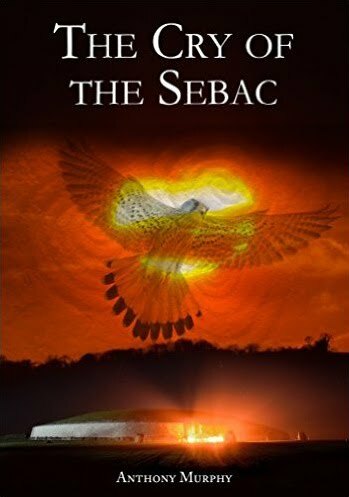 Anthony’s books include: ‘NEWGRANGE: Monument to Immortality’, “The Cry of the Sebac“; and “Island of the Setting Sun” by Anthony Murphy & Richard Moore. Tea, Coffee & Bar available in the Club before & after the event.